St. Albans – Eva Maria LaBelle, 82, a master gardener and a resident of St. Albans since 1967, passed away unexpectedly Wednesday, July 26th, 2017 at her home. Born in Berlin, Germany on January 23rd, 1935, she was a daughter of the late Michael and Herta (Broscheit) Scheid. Eva was raised and educated in Germany where she met the lover of her life, Richard E. LaBelle, who was serving with the U. S. Air Force at Landstuhl Air Base. They were married on October 20, 1955 in Landstuhl, Germany . Richard passed away March 13, 2017. Shortly after making her home in St. Albans, Eva was first employed as a hostess at the Governor Smith Inn, then at the Yarn Center and finally with IBM from 1983 until her retirement in 1997. Eva was a faithful member of Trinity Presbyterian Church in St. Albans where she actively participated in Bible study and church ministry. She especially cherished the wonderful times she shared with her loving family; children, grandchildren, great grandchildren and friends. The grandchildren always knew her as “Omi”. Eva was blessed with a ‘green thumb’ and will be remembered for the many beautiful flowering plants she nurtured in her gardens, which she lovingly shared with family, friends and neighbors. Eva leaves children; Richard W. LaBelle and his wife, Linda of Bakersfield, Ralf P. LaBelle and his partner, Ken Schlegel of Johnson, Ronald B. LaBelle and his friend, Debbie Chagnon of Cambridge and Elizabeth H. Morris and her friend, Robin of Fairfield, her grandchildren; Shawn LaBelle and his wife, Nicole, Justin LaBelle, Myra Stanhope and her husband, Chris, Andrew Morris and his fiancé, Hannah Hartman, Heidi Mudgett and her husband, Chad, and Ashlee Morris, her great grandchildren; Lexie and Kylah. She also leaves her siblings, Peter Scheid and his wife, Marianne, Renate Hettrick and her husband, Larry and Bernd Dihler, her dear friends, Gloria Cote, Evelyn Cross, Dottie Clause, and Jerry Yost, plus several nieces, nephews and cousins. 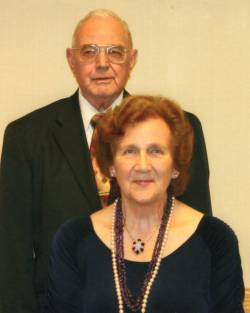 Eva was predeceased by her loving husband, Richard E. LaBelle on March 13, 2017. Funeral services for Eva will be held Monday, July 31st, 2017 at 12:00 Noon in the Trinity Presbyterian Church, 350 South Main Street, St. Albans with Pastor Seth Anderson officiating. Interment will then follow in the family lot at the Greenwood Cemetery in St. Albans. To honor her request, there will be no public visitation. For those planning an expression of sympathy, they are asked to please consider the Trinity Presbyterian Church, P.O. Box 422, St. Albans, VT 05478. Arrangements are by the Heald Funeral Home, 87 So. Main Street, St. Albans. To send the family a written expression of sympathy, please go Eva’s on-line guest book at www.healdfuneralhome.com.